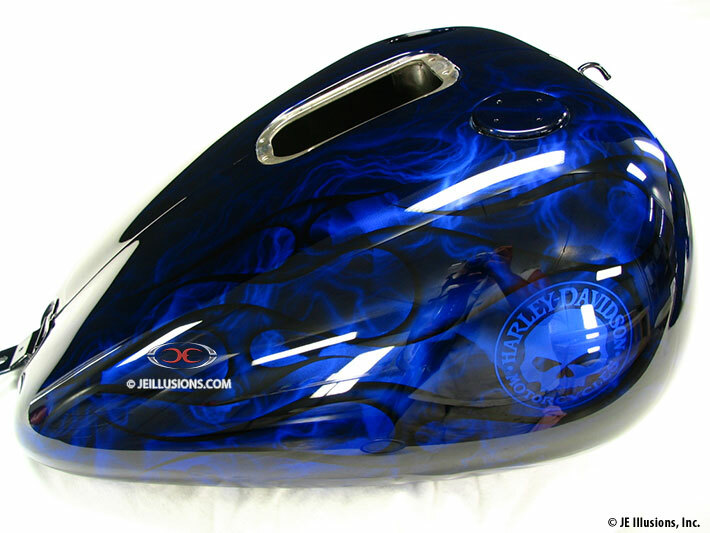 This job is featured with a deep blue kandy background with our signature, hand airbrushed marbling effects added on top. Over this is a hand laid flame design that is just shadowed along the edges and not detailed on the inside in order to appear carved into the parts. H-D Willie G skull logos were then added to match the theme of the bike on each side of the tank.